Home SPFPA News SPFPA™ Wins Braidwood! 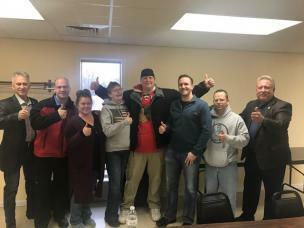 Braidwood Nuclear Officers VOTE YES to stay with SPFPA™! The “fake” union leosu received only 1 vote after its unsuccessful parasitic attempt to steal our members. “There’s absolutely no comparison between the two Unions”, officers stated. SPFPA™ Strong! Previous articleHistoric WIN in Las Vegas!